Hopefully you do have a real estate agent bio, and hopefully you do have it posted on your own website, on your brokerage website, on Realtor.com, on Active Rain, and on any and all the other real estate or social media sites you use. This post started out to be a reminder that it might be time to update that bio, and I’ll still get to that. Meanwhile, something prompted me to do a search on Realtor.com for agents in my own home town. I’m assuming you have to pay extra to be listed there, because at last count I heard there were 115 agents in Bonner County, and the 3 that that are listed on the local real estate agency website were not on Realtor.com. 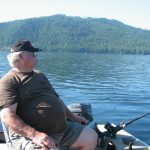 I was dismayed to see that of the 83 agents listed – about 90% of whom had real estate agent bios – not one said that he or she specialized in Priest River properties. One did say Priest Lake was her territory, but that’s a whole different market. Instead, there were agents from Sandpoint, Spokane, Coeur d’Alene, and even Bonners Ferry. Under areas served, many listed every city and small town in 3 Idaho counties (4,505 square miles), and others included parts of Washington or Montana. Could anyone actually be an expert in a territory this large and diverse? Not a chance. Someone looking for a Priest River real estate agent would have been out of luck. If I wanted to move here and started looking for someone who had the area knowledge to help me find a home or land in or near Priest River – I’d have been lost. It looks as if all these agents are suffering from FOMO – fear of missing out. Instead of listing the area where they really might be an expert, they listed everything. Others carried their FOMO to their areas of expertise, saying that they specialized in single family homes, vacant lots, agricultural land, commercial properties, and on and on. I do have to say that in spite of the FOMO, a few of the bios were pretty good. Most needed a lot of help. One of the first things I noticed was that the majority of agents who had lengthy bios did not know how to hit the “enter” key and make paragraphs. Their bios were just one long “wall of words.” No easy reading there. Then I was astonished by the number of agents who went on, and on, and on about previous careers. In some cases, they barely mentioned being REALTORS®. One man even devoted a paragraph of his agent bio to his son’s education and career in some field unrelated to real estate. (???) Another offered a link to the website for his other business – to which he devoted more words than he did to real estate. 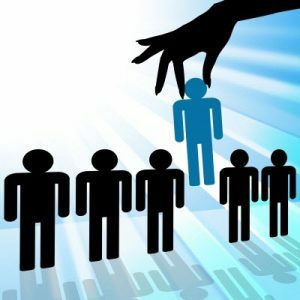 When I write real estate agent bios, I do encourage agents to let me mention their previous careers, especially in reference to how the skills they developed in those careers are a benefit to their real estate clients. But I would certainly not devote the entire agent bio to past careers and forget to mention what they have to offer to their real estate clients. Many devoted most of their bios to how much they love North Idaho. One agent devoted several paragraphs to the recreational activities he and his family enjoy during each season of the year. Yes, it is beautiful here, and if you love outdoor activities, it has plenty to offer. But how do skiing, hiking, golfing, fishing, and hunting make someone a better agent? Some just didn’t say much of anything – only stating where and when they were born, where they grew up, where they attended college, and when they moved to the area. Others filled their space with those empty platitudes about honesty and integrity. And some had the problem that I had in mind when I decided to write this post: Outdated information. I don’t know why she included this information in an agent bio. It’s more suited to a market report, but there it was, and it should have been either updated or removed. Does YOUR agent bio need an update? Does it say you’ve been in real estate for 10 years, when now it’s really 15 years? Is it missing your accomplishments for the past year – or years? If you’ve focused on a new niche, does it say so? Or even worse – does it still say how glad you are to be a member of XYZ Realty when you’re now at ABC Realty? Right now would be a really good time to review your bio – and a really good time to re-write it if it doesn’t do a good job of showing why clients will be happy if they choose you. If you still don’t have a bio, now is also a very good time to correct that. People really do want to know something about you before they trust you to help them buy or sell real estate. If you need help, get in touch. 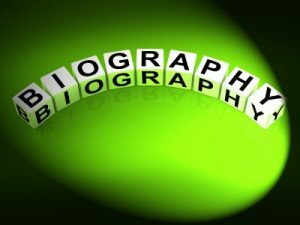 I can re-write and update your current bio, or start from scratch and write the words that will make you stand out from the crowd and show your prospective clients why YOU are the right choice.